Traffic is everywhere you go on the internet. All are quality, depending on how you look at it. A million views to your video of your child’s first steps is a million views, but those visitors will probably have little to no interest in purchasing your product. The trick is getting targeted traffic and I’m going to show you how to do that. I’m sure you’ve heard of Quora. If you have, you’re probably sick of hearing about it because you haven’t had any luck with the platform. If you haven’t, it is basically a modernized version of Yahoo! Answers. You ask a question and a bunch of people answer it. Or you answer questions and gain exposure. Quora is a goldmine if used right. Quora questions and answers show up in Google search results so there is an SEO benefit, but the biggest benefit is the traffic. They get millions upon millions of unique visitors to their site each month and these visitors could just as easily be redirected to your site. 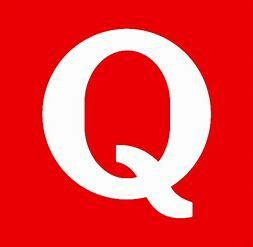 Go to Quora and create an account if you haven’t already. Find questions to answer and answer them. If you’re stuck, use a method called “Answer Arbitrage”, which is going to search engines and finding the answer to those questions. You definitely don’t have to be an expert in anything to utilize Quora. A simple Google search will find you the answer to your question. You can leave a link to your site for every question that you answer. DO NOT SPAM THE SITE. Quora really cracks down on spam so you always want to appear more human and less bot. Drop your link in a non-intrusive way when it is relevant. Feel free to answer some questions without inserting your link, too. This helps make you look more legitimate. Also, you can insert your link in your profile so do this. If you answer enough questions, eventually people will be visiting your profile and they’ll stumble upon your link. Quora allows you to add credentials to make you seem even more legitimate. You don’t need any type of certificate, nothing official. They allow you to put anything you want. Utilize this feature. If you’ll be answering SEO related questions more than anything, put “SEO Expert”, or something along those lines, on your profile. This will give people more of a reason to take you seriously and increase the amount of upvotes you receive. Upvotes are necessary for success as the more upvotes an answer gets, the higher it is on the page. All of this traffic is completely free and for you to take so put the tips I mentioned to use and come up with your own creative twists on them. Make sure to let me know how it is working for you in the comments below. Good luck getting traffic! ← Activate your Back Links with Strong Directories..